Mi Calendario is a fun daily calendar in Spanish. Everyday you can change the day, date, month, season and weather using fabric pieces. 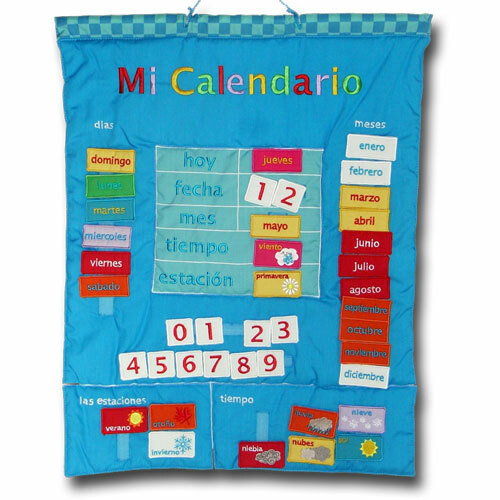 Mi Calendario Spanish fabric calendar is great for teaching Spanish vocabulary based on calendar and weather, as well as numbers and colours. Very useful for all KS2 CLASSES.